How much does SEO cost in Australia? How much to pay for SEO? How much does SEO cost in Australia? November 26, 2018 / Rhythm Admin / Comments Off on How much does SEO cost in Australia? The price of SEO services varies significantly based on the services you require and your desired outcome. This article explains the different types of SEO services available, and the cost of each. and the amount of work required to get your website ranking. For the purpose of this article we are going to break it down into three main categories. Local SEO, National SEO, International SEO. How much does Local SEO cost in Australia? Generally Local SEO is the cheapest to implement. This is because of the low number of searches in local regionals. 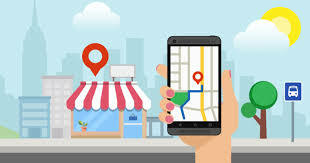 It is also easier to get a business ranking for local searches, compare to national and international searches since there is less competition. The cost of local SEO in Australia usually falls between $500 a month and $2,000 a month. The price will vary based on the level of competition in the search results, your businesses current ranking, and the competitiveness of your industry. In most cases, the cost of SEO is a lot more if the products or services you offer are of high value. This is because one sale alone can produce significant revenue for your business. Industries such as Law, Accounting, Real Estate, Medical services, Engineering, and IT are a lot more competitive to rank for. The average client in these industries is usually $10,000+ so if a business were to get just two new clients a month, it can be worth $240,000 in additional sales revenue per year. When paying for local SEO, you can expect your agency to deliver a certain amount of work per month. This will include, citation building, link building, content creation, online reputation management, on page SEO and rank tracking. It will take about 3 to 6 months before you start seeing results on your local SEO campaign. Once your business starts ranking in the local search results, it will require monthly efforts to maintain the rank. How much does National SEO cost per month? National SEO involves getting a businesses website ranking across a number of location based searches in the country. National SEO usually costs more per month compare to localised SEO. This is because a lot more work is required and there is a lot more competition for in the search results. The prices varies significantly, and it is usually a case-by-case basis. For national SEO you can expect to pay anywhere between $2,000 a month up to $20,000 a month based on the amount of work required, the number of keywords you need to rank for, the size your business, as well as your businesses current ranking. The is no rule of thumb how much a National SEO campaign will cost in Australia. As a general guide a business with three locals might pay $2,000 per a month for SEO. Whether as a large franchise with 50 locations might pay $20,000 per month. The prices of National SEO differs to local SEO as there’s a lot more work involved in the process. The agency must take into account the businesses long-term goals, their current position, level of competition, and market opportunities. With large franchises, there is also the aspect of internal control. This creates more work for the SEO Agency. In many cases, large franchises have strict processes and public relation guidelines. This creates a lot more work for the agency and can slow down the progress of the campaign. How much does International SEO cost? If you operate a global business with various locations around the world, you will need International SEO. International SEO is usually the most expensive out of the three. This is because the agency is competing on a global scale. When implementing international SEO you’re usually up against the best of the best. This requires more work to get a result. Although International SEO is the most expensive, it brings in significant revenue for a business. When your website can by found by people searching around the world, it opens up new revenue streams for your business. To implement an International SEO campaign, you can expect to pay anywhere between $3,000 a month and $50,000 a month based on the level of competition, search volumes and your websites current position. If your business is competing with large global enterprises who have a strong organic presence, as well as a globally recognised brand, international SEO can be quite time-consuming for the agency, hence the larger price tag. The problems with cheap SEO? You might have seen SEO advertised for $200 a month and thought it was a bargain. In most cases anything that seems too good to be true, usually is. It is not possible for an agency to deliver great results at this price. Agency which offer SEO services at this price range generally use a churn and burn approach. They take on business owners on a tight budget, lock them into a 12 month contract. They usually have a high turnover of clients who cancel their contracts when they are expired. This approach often costs business owners more in the long run, since you are paying for a service that isn’t generating the expected results. It would be recommended to spend the money with an agency that is experienced and charges a reasonable amount, but has a track record of achieving excellent results for their clients. The SEO process is a continuous one. It generally involves an audit of the website, this includes analysing any on page SEO, analysing the consistency of citations and an analysis of the back link profile to the website. In addition to this, keyword research will be conducted to determine the best keywords to rank for. After the audit is complete, the agency will have a good idea regarding the amount of work required and how much the SEO campaign will cost your business. The agency will set out a level of monthly work to be completed upon signing the contract. The first step in most SEO campaign is to fix any on-page SEO issues identified in the audit. The time this takes depends on the size of the website. For larger websites with hundreds of pages, this can be an ongoing processes. For smaller websites, all on-page SEO work is usually completed in the first few months of the campaign. The main type of work that will be done throughout the SEO campaign will be content creation and backlink building. For local and national campaigns this will also include citation build for each location the business operates. Content creation involves the SEO consultant creating high quality, authoritative articles for the website. Search engines favour websites with authoritative content and view it as a trusted source of information. In addition to content creation, the SEO agency will build a strong backlink profile from similar websites. SEO in Australia is slightly different to SEO and other parts the world. This is because Australian cities are generally spread further apart when compared to countries like America and the UK. This has an impact on optimisation techniques for local businesses. In areas in smaller suburbs, the SEO consultant might optimise the website for neighbouring suburbs who have a higher search volumes. For example, if the business operates in Hamilton and there’s only 30 searches per month relating to the businesses services, yet the neighbouring city of Newcastle has 260 searches per month relating to the business services. The consultant should optimise the website to rank for Newcastle searches, as it would yield more traffic from potential customers. The question Australian business owners should be asking is not how much SEO costs, but how will SEO benefit my business. SEO provides a great sources of recurring revenue for your business. Top marketers agree that having your business on the first page of Google is one of the best forms of business exposure you can hope for. People are often surprised by the cost of SEO services in Australia. However, when you take into account the benefits, SEO is often one of the most effective forms of marketing in the world. If you have any questions or would like to start a project we'd love to hear from you!